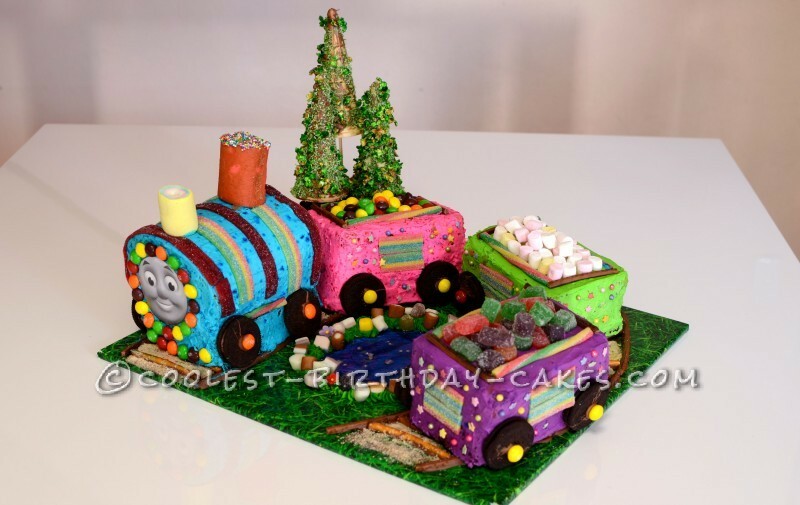 This Thomas train birthday cake was made for my nephew who turns 2 today, 8th July 2013. He is a big fan of Thomas and friends. I used a Thomas face picture to bring that feeling. It is not edible though. The cake was a half chocolate and half vanilla one. The bottom layer being the chocolate part brushed with cherry syrup and topped with fresh whipped cream and fruits. On top of that sits the vanilla layer with lemon sugar syrup. This was decorated with fresh whipped cream (colored with gel color) and I used gelatin to stabilize them. The train track was made with pretzels attached on the board with melted chocolate. I used biscuit crumb on the train tracks. The pond in between was made with a glossy blue paper with some gelatin spreader on top. Few silver glitter balls were sprinkled there. Around the pond I used rock candy to decorate the edges. The engine was made with a sponge roll sitting on a flat chocolate layer. 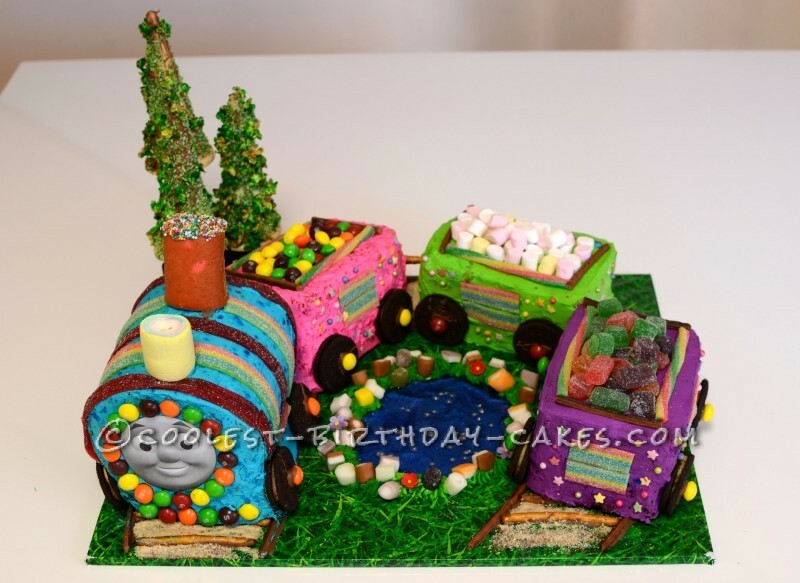 I used marshmallow and mini sponge roll to make the smoke chimney. The cars were attached with each other with pretzels. And the trees was made with ice cream cones rolled on melted chocolate and colored corn flakes and colored coconut flakes. This stood on chocolate mini sponge rolls. Finally, different types of lollies … as many as you can !